Just in case you check my blog, and don’t ever visit the BBC’s Day in pictures. 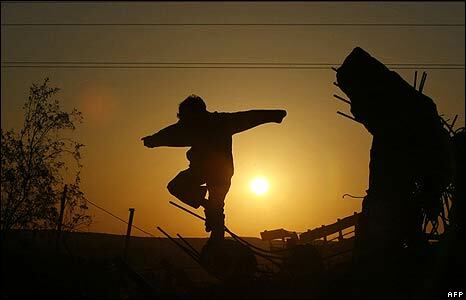 This is a young man dancing on the rubble of his home in Gaza. I don’t know if pictures like this make my faith greater or if they increase my doubt.